I was invited to join the Siemens Foundation in honoring America's best and brightest high school students as they compete in the nation's premier original research competition during the weekend of December 3-5, 2011. I was fortunate enough to be invited because I was a 2011 Siemens STEM Institute Fellow at Discovery Communication Headquarters. 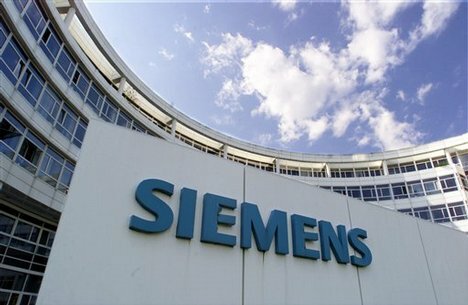 For more information on the Siemens STEM Academy, visit http://www.siemensstemacademy.com/. "Siemens is supporting the next generation of scientists, engineers and business leaders through our educational initiatives. Whether it's introducing engineering to grade school students through our employee mentoring program, rewarding excellence in high school science and math or providing scholarships for minority students to pursue teaching careers, Siemens touches the lives of thousands of students and teachers nationwide everyday. The Siemens Foundation provides more than $7 million annually in support of educational initiatives in the areas of science, technology, engineering and math in the United States." I found myself completely in awe as I interacted with each of the students during the Project Exhibition. Their research projects were so inspiring and uplifting that I completely forgot that they were juniors and seniors in high school. These students were selected out of 1900 applicants and over 1500 projects nationwide. There were six final contestants in the individual competition and six final contestants in the team competition. All of the projects involved either Math, Science, Technology or a combination of the three. President of George Washington University, Steven Knapp opened the project exhibition with a powerful message: "I would challenge those who are skeptics of America's ability to remain competitive in math and science, to view these projects that our students have created and still believe that we are falling behind." Dr. Steven Lerman, Provost of George Washington University posed the question, "Why do we do this?" He followed with, "Because progress as a human species is innate. Whether we perform research to solve real-world problems, or because we just want to know the answer, it doesn't matter. We are all utilitarians. The findings that come out of our research will be applied in one way or another to keep us moving forward. For innovation." I was also inspired by the guest speakers at the National Gala Recognition Dinner at the Andrew W. Mellon Auditorium in Washington, DC Sunday night. President of the College Board, Gaston Caperton spoke to the Siemens Competition National Finalists, "You ALL have the opportunity and the ability to change the world." Hopefully those students will believe that message and more importantly, I hope that they go out into the world and do exactly that ... change the world! Reed Timmer, the Chief Meteorologist for Discovery Education and host of Stormchasers was the keynote speaker of the evening. His presentation was full of humor and excitement as he showed videos and data to convey the STEM application to storm-tracking and meteorology. However, the most exciting part of the presentation was when he said, "It's STEM education that makes dreams become reality. Without imagination, innovation does not exist." Congratulations to Ziyuan Liu and Cassee Cain of Oak Ridge for winning the 2011 Siemens Competition Team Prize of $100,000.